We’re pleased to announce several important acquisitions by public collections. 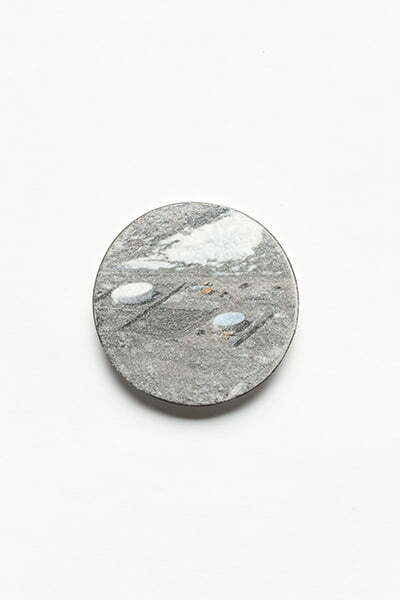 Kirsten Haydon’s Ice Movement necklace & Ice Depot brooch (pictured), both 2011; Manon van Kouswijk’s Trophées necklace series, 2011; Sally Marsland’s Untitled necklace, 2013 and Blanche Tilden’s Dutert necklace, 2012, have all been acquired from the hugely successful Melbourne Now exhibition, by the National Gallery of Victoria. A notable new addition to the Art Gallery of Western Australia’s collection is Marian Hosking’s Twig Neck Ring of 2013. This piece was first shown in her exhibition Greetings from… at Gallery Funaki in October last year and now joins this increasingly significant national collection in Perth.